Saturdays at 9am, WalkTalkYoga® will be meeting in front of the Brooklyn Public Library by Grand Army Plaza. 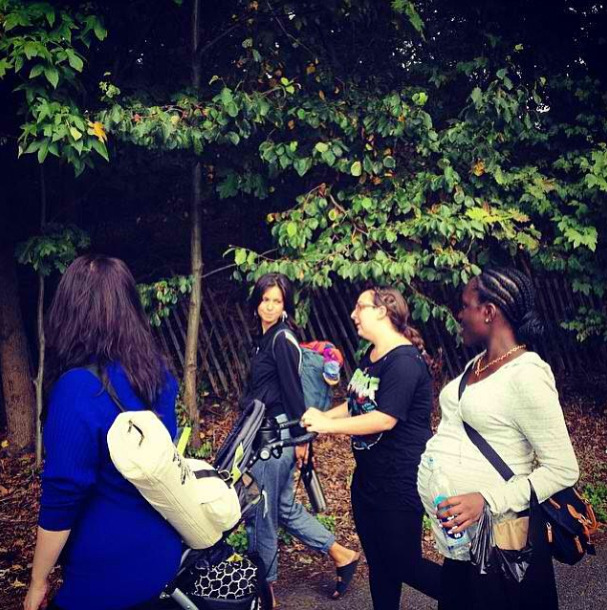 We focus on our walk through the park and then continue working on yoga/birthing and strengthening positions. The class will finish with light meditation. PLEASE NOTE: In case of cancellation, we will send out an email message a couple of hours in advance! So, please check your e-mail on Saturday morning. IMPORTANT: We kindly ask you to please be on time, be dressed like an onion ready to walk and exercise and make sure to please bring something to drink (hydration is very important!!! While at Prospect Park we will be making bathroom stops). The classes always finish with light meditation. If you have any birth related questions, please feel free to ask as much as possible during our sessions!